More Game of Thrones content than ever before. Disruptor Beam, in partnership with HBO Global Licensing and Kongregate, announced today that Game of Thrones Ascent is available for iOS and Android. Ascent is the first social game based on the award-winning HBO show and literary series by George R. R. Martin. Fans can now remain immersed in the world of Westeros even beyond the end of Season 4 of the show on their mobile devices. In Ascent, fans find themselves in a world beyond the books and show, living the life of a noble in Westeros working with each other in a persistent game world. Players will be able to delve into the lore and developer their own lands and reputation among the great houses. Disruptor Beam updates Game of Thrones Ascent on a weekly basis, which will continue throughout 2014. Features include alliance versus alliance world events, a crafting system, original storylines and quests, and customizable characters. 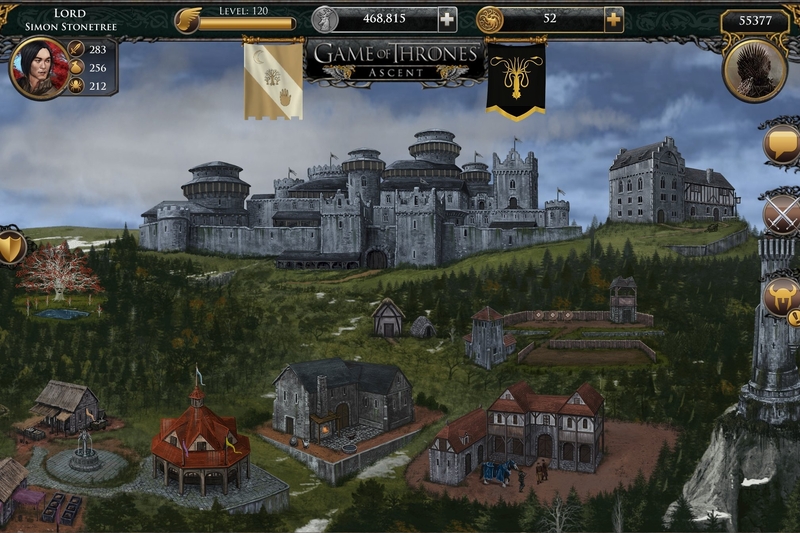 Game of Thrones Ascent was previously available on the web. It also released for iPad in 2013 and April 2014 respectively, and you can download it now for your iOS or Android device.